The key to turning browsers into buyers, is to make their decisions automatic. Research shows people are willing to pay more for better service. Time and again, they rank convenience and reliability over price. Often that just means making it easier than they thought it would be. Cut the number of times they have to stop and think. Take away the friction points. Build unconscious trust. Make them feel like they should buy from you. How? Your logo and brand are visual shortcuts. They powerfully help people remember you. Be clear. The more consistent you are, the more powerful the memory magnification effect. Is it time you updated your marketing to clarify your message? Let’s look at the marketing you’re using today. And work on a plan to make things clearer. To find a common voice and a consistent feel, so you can concentrate on being... you. 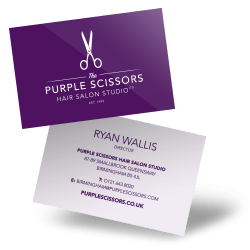 All our business cards are double sided as standard. 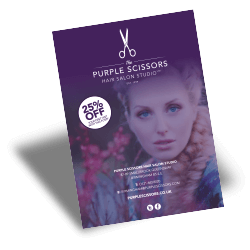 Put a map on the back, or a photograph of your premises or products. Or even just add a simple accent colour. 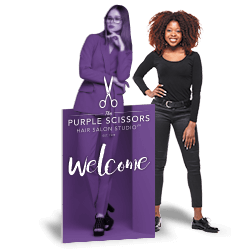 Whether you want a hand out, post through mailboxes or create stunning direct mail pieces, we’ve got all the options covered. From thin paper to ultra thick board. 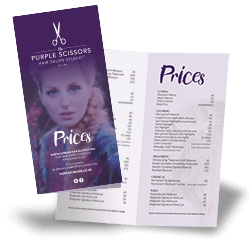 For price lists, low-cost mailers and brochures. Be clear what you want a recipient to do next... To order online? Book an appointment? Tell them what you want them to do. Use navigation to instantly make folk less anxious. Like these cut-out cardboard figures. They’re great for greeting or pointing people in the right direction. Take time to explain. Let your story unfold. 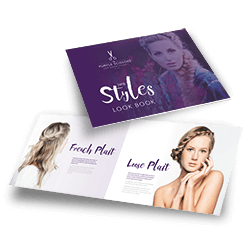 With a persuasive booklet or eyecatching catalogue. Choose from our large range of finishes – and even add a thick cover. 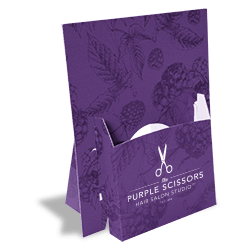 Present your booklets, price lists and catalogues in cardboard literature stands. Supplied flat and assembled in seconds.